Heightened demand for traditional properties in stunning locations in the 500,000 plus bracket has bolstered the Perthshire property market. Location is key in the Scottish rural property market and the firm has experienced an increase in demand for larger Perthshire properties over the previous quarter (January March 2017). Areas remaining in high demand include Aberfeldy, Pitlochry and Loch Tay as well as south Perthshire which continues to be of interest as it is highly commutable to the city. As always, rural properties with land, anything from a few acres up to 30 - 40 acres, continue to draw competitive interest. Consequently, sales have increased by 10% over this period in comparison to the same quarter of 2016, with property viewings also up 19%. Applicant registrations were up 20% this period in comparison to the previous quarter. There has been a shift in market activity with more mid to higher end properties being sold over the past few months. Perthshire property prices remain highly competitive compared to the rest of the UK and we continue to handle sales from a large number of English buyers highly attracted to the rural lifestyle and the value for money property in Perthshire presents. The area is still an attractive prospect for the second home market which has continued to push sales up. 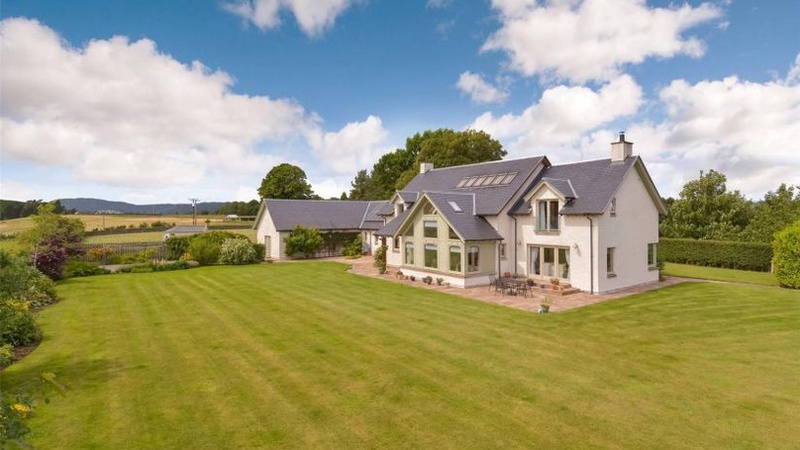 The local Perthshire market is very much supply driven at present and of notable interest is the lack of supply of two to three-bedroom houses and small four-bedroom rural cottages coming onto the market. There is a lot of competition amongst buyers in this segment of the market with properties attracting a number of competitive bids and thus selling well. We have serious buyers registered with us who are in a position to move quickly and we would encourage anyone considering selling in the 200,000 - 400,000 market to do so now as demand remains ever strong. CKD Galbraith operates a network of regional offices across Scotland and figures for the firm as a whole during the previous quarter show a rise in sales of 7% compared to the same period in 2016, with 19% more properties being brought to the open market and 49% more applicant registrations. This activity equated to 47 million worth of property sales being handled by the firm over the past quarter alone. The firm's lettings department in Perth has also had a successful first quarter with demand remaining high for all types of rental properties. The team brought 67% more properties to the lettings market over the first three months of 2017 compared to the previous quarter, conducted 24% more viewings and had 8% more prospective tenants registering with them. The number of managed properties on our books has increased over the previous quarter however, the Perthshire lettings market is driven by local demand which continues to outstrip supply. Anyone considering becoming a landlord or growing their lettings portfolio in Perth should think about it now as it is a very active market and we have seen average rent levels increase as a result of low stock.